Basketball great, Derek Fisher was born August 9, 1974 in Little Rock, Arkansas. Fisher is NBA professional basketball player with the Oklahoma City Thunder. 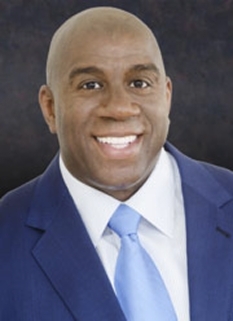 He was the twenty-fourth pick in the first-round by the Los Angeles Lakers in the 1996 NBA Draft. 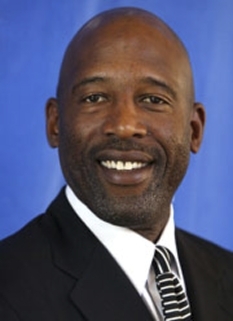 He has also been the color commentator for the Los Angeles Sparks of the WNBA since July 1, 2008. 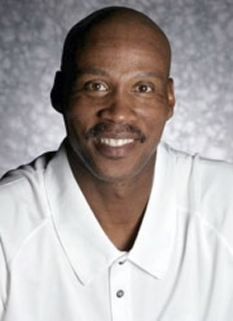 Fisher was selected 24th overall in the 1996 NBA Draft by the Los Angeles Lakers, and spent his first eight seasons with them. He made his NBA debut in an early season game against the Phoenix Suns, tallying 12 points and five assists. Over the course of his rookie season, Fisher appeared in 80 games, averaging 3.9 points, 1.5 assists and 1.2 rebounds. He was selected to the Schick Rookie Game during the All-Star Weekend in Cleveland and had 16 points and six assists. After the 2003-04 season, Fisher became a free agent. Although he was popular, the Lakers viewed him as a role player, and with the additions of veterans Gary Payton and Karl Malone the previous summer, Derek Fisher had been removed from the starting lineup and saw his playing time reduced to 18-20 minutes a game. In addition, the Lakers team that Fisher was familiar with had disintegrated after the 2003-04 season. 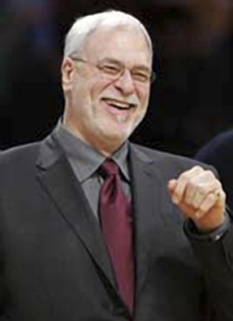 Head coach Phil Jackson retired and center Shaquille O'Neal had been traded to the Miami Heat, while Kobe Bryant threatened to opt out of his contract and most of the remaining Lakers squad was traded away in the opening phases of a rebuilding effort. During contract negotiations, the Lakers offered Fisher $15 million over three years. In contrast, the Golden State Warriors offered Fisher $37 million over six years and guaranteed him a role as the team's starting point guard. On July 16, 2004, Derek Fisher signed with the Golden State Warriors as a free agent. Fisher's two-season term with Golden State proved to be somewhat of a disappointment, as some of the flaws in his game were exposed. While he was a reliable spot-up shooter, Fisher saw limited openings without a star player such as Bryant or O'Neal to command a double-team, and struggled against quicker players. The team as a whole continued to struggle mightily and languished near the bottom of the Western Conference standings. Derek Fisher was acquired by the Utah Jazz on July 12, 2006 in a trade that sent Keith McLeod, Andre Owens, and Devin Brown to the Golden State Warriors. He appeared in all 82 games of the 2006-07 season, averaging 9.5 points, 3.3 assists and 1.01 steals while scoring in double figures 40 times. In November 2006, Derek Fisher was voted President of the NBA Players Association, succeeding Antonio Davis. 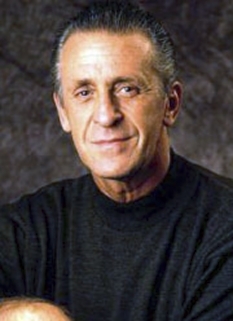 Fisher had previously served as vice president. Following the season, on July 2, 2007, Fisher announced that he asked the Jazz to release him from his contract so he could devote his energies to fighting his daughter's retinoblastoma. Although denying that Utah's medical care was substandard, he stated that it did not have the "right combination" of specialists. Without officially announcing whether he would play basketball again, he stated that his main concern was finding the right care for Tatum. The Jazz honored his request. After much speculation, on July 19, 2007, Fisher officially rejoined the Los Angeles Lakers by signing a 3-year contract worth roughly $14 million. He had given up roughly $8 million over 3 years, as he was due about $22 million over the next 3 years in his prior contract with the Jazz. When the 2007-08 season began, Fisher resumed his role as the Lakers' starting point guard, and provided a veteran influence alongside Kobe Bryant to the relatively young Lakers squad. 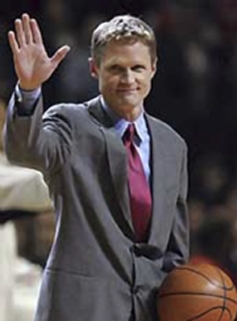 He contributed a solid season, and played a big role especially against the Utah Jazz in the 2008 NBA Playoffs. 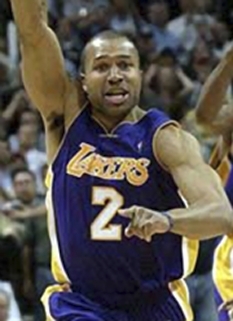 DISCLAIMER: PFP Sports Talent Agency does not claim to represent itself as the exclusive agent for Derek Fisher. PFP Sports Talent Agency is a booking agency that represents organizations seeking to hire pro athletes and sports personalities such as Derek Fisher for speaking engagements, personal appearances, product endorsements and corporate entertainment. Fees on this website are estimates and are intended only as a guideline. Exact fees are determined by a number of factors, including the location of event, the talent’s schedule, requested duties and supply and demand. PFP Sports Talent Agency makes no guarantees to the accuracy of information found on this website and does not warrant that any information or representations contained on this website will be accurate or free from errors. We are often asked how can I find out who is Derek Fisher's agent? To find Derek Fisher appearance fees and booking agent details, you can contact the agent, representative or manager through PFP Sports Talent Agency for speaking fee costs and availability. PFP Sports Talent Agency can help your company choose the ideal sports personality for your next marketing campaign. To hire Derek Fisher for an appearance, speaking event or endorsement, contact Derek Fisher's booking agent for more information.